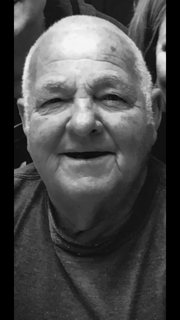 Obituary for Nolan Clyne Barnes | The Bradley Funeral Home Inc.
Our loving father, Nolan Clyne Barnes, of Homestead Dr. Luray, passed away on Wednesday, March 20th, 2019, surrounded by his family’s love. Coffee County, Waverly, Kansas. Nolan married Juanita Virginia Graves, his “Brown Eyes” and the love of his life on November 30th, 1963. Our precious momma, Juanita, preceded him in death in 2006. Megan Barnes whom he loved dearly. He loved his six siblings of which he shared much love and lots and lots of laughter. Surviving siblings are Marlene Spitler, Lola Somers, Janice Good, and Allen Barnes, all of Luray. Albert Dwight Barnes and Neal Edgar Barnes are deceased. He loved his 19 nieces and nephews, and his 26 great nieces and nephews. Dad was an active Christian, a member of the Luray Church of Christ, and loved his brothers and sisters in Christ. He was a man that was always there for his family, friends, and anyone he would meet. He was a true role model for all, always living by the Golden Rule, giving to others and caring for others. Dad was known for his love of laughter and always finding joy. He enjoyed restoring antique cars and attending and participating in car shows. Dad loved game nights playing cards with family and friends. Dad also had many true friends with whom he enjoyed great times. He enjoyed his McDonald’s breakfast gang and the sweet team there that was so kind to him. Dad also looked forward to all of his family travels “back out west” to see extended family and friends in Missouri, Kansas, and Colorado. Dad was a most loving father, devoted family man, sweet, kind, and gentle man full of wisdom. We will hold him in our hearts until we are together again. He will always and forever be loved and missed. P.O. Box 63, Luray, VA 22835 or to the Church of Christ Disaster Relief Effort (disasterreliefeffort.org), in lieu of sending flowers.